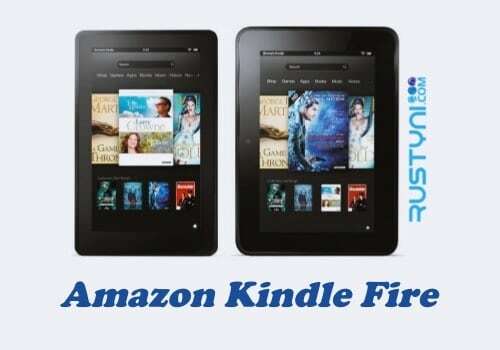 Find out how you can extend the battery life of your Amazon Kindle Fire and Fire HD, so you can use it longer between charging time, which means you can enjoy more of what your device has to offer. Want to extend the battery life of you Kindle device? Perhaps you don’t have any idea that this kind of thing is possible and now you can find out how to do it. Turn out, there are many setting on your Kindle device that you can tweak around to get it stay on longer. Turn down the brightness setting. Set it to the lowest possible setting, which could help to extend battery life for couple of hours. Swipe down the screen to open notification bar, tap “Brightness” and slide the slider to the left. Turn off the app and app that you don’t need. This is a no brainer. If you don’t use it, turn it off. In this case, you can turn off Bluetooth, Wi-Fi and Location based service. Simply swipe down the screen and tap “Settings”. In there you will find the option to those app, tap on it to switch them off. If you want to go faster route, just enable “Airplane Mode”. Disable email sync. By default, the email account on your device will connect to the server and sync every 15 minutes. This is not entirely necessary because you can check the new email by opening it. By disable this setting, you can extend the battery life quite significantly. Go to “Settings > Apps & Games > Amazon Application Settings > Email, Contacts, Calendar”. After that, tap the email account and turn this sync option off. Close running app. If you don’t use it, turn it off. Make sure that you already close the app that you used before. Tap “Quick Switch” icon to view the running application and then drag them off the screen to close it. Enable “Smart Suspend” feature. This feature will disconnect all type of connectivity in your Kindle device when you don’t use it. Swipe down the screen and tap “Settings” and choose “Power”. After that, tap next to “Automatic Smart Suspend” or “Scheduled Smart Suspend”.